A mother who has breast and cervical cancer has launched a High Court action over alleged misinterpretation of two cervical smears tests as part of the CervicalCheck screening programme. Ruth Morrissey (37), who may have only one to two years to live, asked for an order granting her anonymity to be lifted. Ms Morrissey and her husband Paul Morrissey, of Kylemore, Schoolhouse Road, Monaleen, Co Limerick, wanted to ensure her remaining time was as comfortable as possible and her daughter’s future was protected, counsel Jeremy Maher said. The court was told Ms Morrissey had a CT scan this week and there is an improvement in her symptoms. She may now be a candidate for radical radiotherapy treatment, which could improve her prognosis. Mr Maher said Ms Morrissey’s 2009 smear was tested by the US laboratory Quest Diagnostics and her 2012 smear by Medlab Dublin. Counsel said the evidence from their side will be that the smears were “incorrectly and negligently reported”. 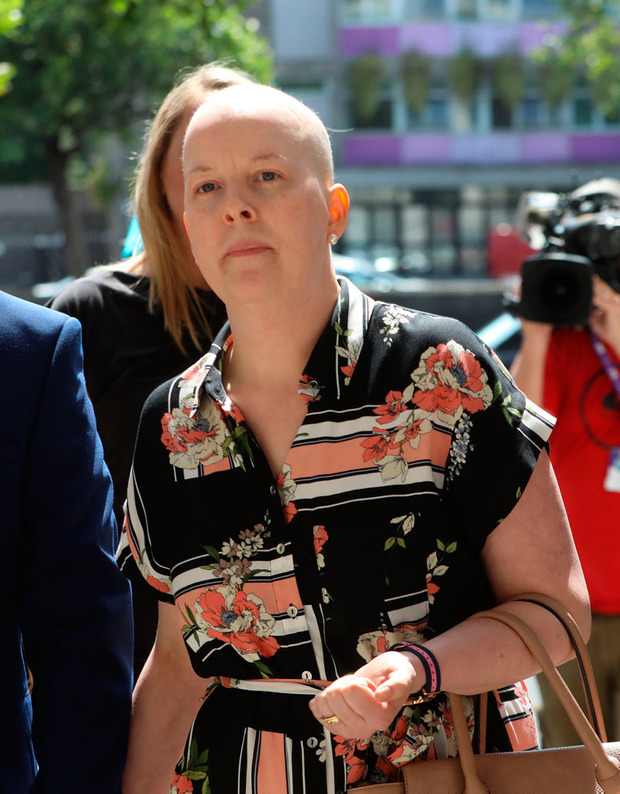 Counsel said experts on their side will say if the cervical smear on 2009 had been correctly reported she would have been referred for a colposcopy which would have disclosed pre-cancerous cells and she may not have developed cervical cancer in 2014, which recurred this year. Counsel said Ms Morrissey should never have developed cancer in 2014 or have had a recurrence. She is being deprived of seeing her seven-year-old daughter grow up. Ms Morrisey wanted to know why she was not told of the results of the reviews carried out in 2014 and 2015. The HSE, counsel said, admitted it owed a duty of care to Ms Morrissey, but not to her husband. It admitted the results of the reviews should have been made known to her. The laboratories deny all claims. They have sued the HSE and the US laboratory Quest Diagnostics Ireland Ltd, with offices at Sir John Rogerson’s Quay, Dublin, along with Medlab Pathology Ltd, with offices at Sandyford Business Park, Dublin 18. On August 18, 2009, Ms Morrissey had a cervical smear test as part of the national screening programme. The sample was sent to a cytopathology laboratory operated by Quest Diagnostics and it came back negative with a recommendation for a routine recall. In a letter from the HSE in September 2009, Ms Morrissey was advised the smear test detected no abnormalities. On August 8, 2012, she had another test under the national screening programme. That was sent to a Medlab Pathology laboratory and Ms Morrissey was told by HSE letter in September 2012 no abnormalities had been detected. On May 2014, Ms Morrissey went to her GP complaining of bleeding and she was referred for an urgent colposcopy. She was subsequently diagnosed in June 2014 as having cervical cancer. It is claimed that unknown to Ms Morrissey reviews were carried out of the prior cervical screening.